HYDERABAD: At a dialogue discussing the implications of the media of Sindh Press, Newspapers, News Agencies and Books Registration Bill, 2017, participants viewed the proposed law as a tool for suppressing dissent. The event, at which some speakers warned of launching a protest movement against the law, was organised on Sunday by the Sindhi Adabi Sangat [Sindhi literary fraternity] at the Sindhi Language Authority in Hyderabad. The bill has been reportedly approved by Chief Minister Murad Ali Shah. It is currently under the perusal of the provincial law ministry. Rashdi went on to allege that if enacted by the Sindh Assembly, the new law will mark the start of a new era of corruption in the Sindh information and archives department. “Together, we should put so much pressure on the government that it can’t even table the draft law [in the Sindh Assembly],” she suggested. Senior journalist Mazhar Abbass described the provincial information ministry as a ministry of disinformation. “It isn’t a law for registration, but one to regulate creative minds,” he argued. Abbass said such laws are introduced by dictatorial regimes to control the people. He said the bill will pave the way for governmental control over the media and the content it generates. He proposed all the newspapers should write editorials against the draft law. Sindhi Adabi Sangat General Secretary Ahmed Solangi called for adopting the medium of resistance to force the provincial government to listen to them. Khursheed Abbassi, a journalist, also warned that the press community will resist the proposed law. 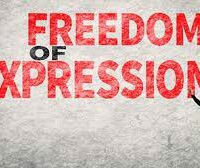 Journalist Qazi Asif contended that in the guise of suppressing extremist content, freedom of expression will be strangled. Former secretary of the Sindhi Language Authority and writer Taj Joyo termed some provisions in the bill as more ‘dangerous’ than the laws promulgated by military rulers from Ayub Khan to Musharraf. Prof Imdad Chandio propounded that Urdu writers and poets should also be included in the campaign against the bill. Rashdi said a committee consisting of writers, poets, journalists and publishers should be formed to campaign against the bill.